for Android 1.6+ (Android 2.1+ required for versions 2.4+), free limited-functionality version or $3.99 full-functionality version. Requires Internet connection to retrieve information from your fantasy league provider. Is your fantasy team in "go for it now" mode, or is it time to trade your stars for keepers? This app tells you if you're ready to take home the fantasy championship. The Fantasy Playoffs Predictor's unique algorithms determine your team's odds of making the playoffs, winning the division, and taking home the title. This data can help you decide if your roster will carry you to the postseason or if you'll need to take a chance on some sleepers to move up in the standings. This app is for use with ESPN Fantasy Baseball head-to-head leagues that use a Points, Each Category, or Total Categories scoring system. It supports public, prize-eligible, and private (standard or custom) leagues that are visible to the public. No login required! This summer, we will add support for ESPN Fantasy Football, ESPN Fantasy Hockey, and ESPN NBA.com Fantasy Basketball - all in this one app. This app will support fantasy sports in future seasons - there will be no need to buy a new app every year! The paid version of this app will always be ad-free. 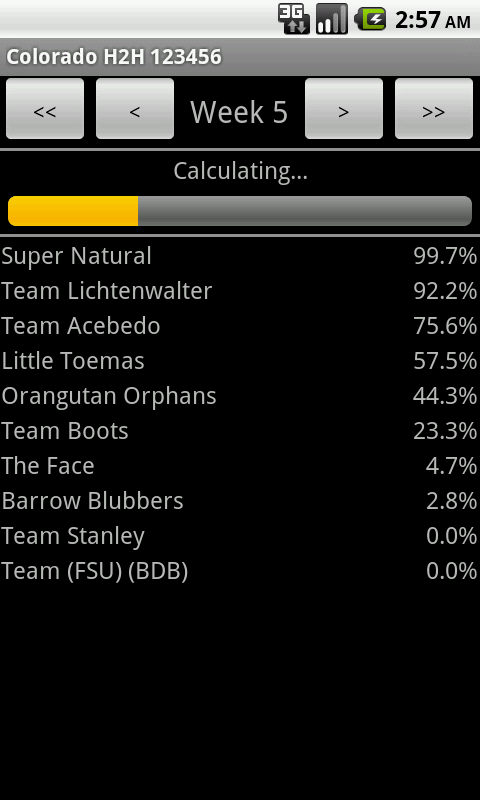 The demo version of this app provides the odds for the top few teams only. 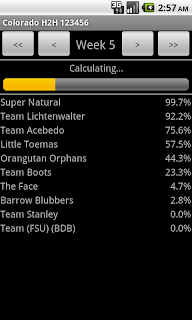 In the event that you are in a head-to-head league without a postseason, the app will predict the likelihood of each team finishing first in its division. This app requires an Internet connection. It will connect to your league provider to retrieve league-relevant data. Most league updates will require less than a half megabyte download. No personal information not relevant to your fantasy league is retrieved or sent. In the event of an error, we may retrieve your league ID to see if we can reproduce the error.